Dive into an absolute tropical paradise at Villa del Palmar Cancun! Our 5 Star property has something special to you. Book the One Bedroom Suite that features impressive views at every turn. Admire the best seascapes or the flowering tropical gardens from your private balcony. This is the perfect suite for lovers or small families. With two full bathrooms, a completely furnished kitchen displaying rich hardwoods, granite countertops and state-of-the-art stainless steel appliances, oversized hammock, independent whirlpool tub, large flat screen TV and entertainment center this is the perfect spot for a once in a lifetime vacation. Two Bedroom Suite also available! Resort credit is applied upon booking and can be used for services at the hotel, such as food and beverages, massages, and room upgrades. Navigate to the hotel’s website. Click the Deals tab and choose a deal. Click the “Resort credit” tab. The table shows how many credit you will receive. The more days you stay, the more credit you will earn. Click “Book now” and choose your travel dates. Choose your plan: Accommodation only or all-inclusive. Click “Add” and complete your purchase. You will receive a confirmation by email that shows your Resort credit. to see an example of how Resort Credit are applied. Room Only reservations: rates are based in double occupancy, are subject to changes without notice and do not include taxes and/or service fee (19%). All Inclusive reservations: rates are per person, include all taxes and service fee and are based in quadruple occupancy. Government-issued photo identification and a credit card or cash deposit are required at check-in for incidental charges. Rates are based on our One Bedroom Suite . Prepayment required. You will be charged for the first night after making your reservation. The remaining balance will be charged once you arrive to the hotel, at frontdesk. Hotel + Flight rates are based in double occupancy, 4 nights stay and are subject to changes without notice. Valid booking from: 01/17/2019 to 04/30/2019. Travel dates: from 01/17/2019 through 12/22/2019. Each night you give yourself, we give you up to 15%	of the value of your room, before taxes, to be used for indulgences* during your stay. *The table is for illustrative purposes. It is based on the largest room and high season. The 15%	Resort Credit is calculated from the pre-tax purchase total. Resort Credit in All Inclusive based in Max occupancy, Resort Credit in European Plan Based in Double occupancy. Rates and credit may vary by season or hotel. Resort Credit are only valid for Hotel services and in Hotel restaurants. They cannot be used in The Shop or boutiques within the Hotels. They cannot be used for products within the Spa, only services. Resort Credit are not cumulative and expire at the end of each stay. This offer is only valid for new Hotel reservations; Resort Credit and Extra Discount promotions not available on Hotel + Flight bookings. Resort Credit are directly proportional to the length of stay and the room selected. Rules and restrictions apply to all individual bookings. Rules and restrictions apply per hotel. Inquire as to special exceptions for large groups and weddings. Resort Credit cannot be exchanged for cash or credit card reimbursements. All services requested are subject to space and availability. Kids eat and stay free not valid in Hotel Mousai. Request reservations for preferred services upon arrival. All services require a reservation 24 hours prior. 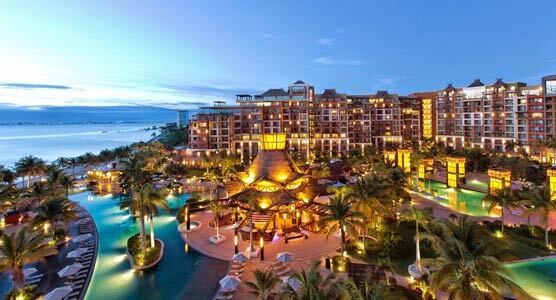 Resort Credit are charged the full price of the service, no discounts apply. Resort Credit are not applicable to other tours or operators outside of the Hotel. NO SHOW POLICY: Refunds of Resort Credit are not applicable if there is a no-show for a requested service. Once a service has been requested the exchange is final.